Tim Slattery spent most of his life on Duluth’s Park Point, a long, skinny sandbar where Lake Superior pounds at one side and Superior Bay laps at the other. Not surprisingly, he developed a love for the water that he expressed through his considerable skill as a photographer. Tim drowned Oct. 23, 2003, after falling out of his small boat on St. Louis Bay near the Midwest Energy Terminal. It was a beautiful, calm afternoon, and most people speculate that he had gone out after work, as he so often did, to shoot a boat in the harbor. In this case, it was probably the Columbia Star as it loaded coal. As a professional photographer in Duluth for about 30 years, Tim photographed thousands of weddings, high school seniors, hockey teams, proms, engaged couples, babies, dogs, and business portraits. But his real love as a photographer was Lake Superior, the Duluth-Superior harbor and the ships that sailed them. Tim shot countless photos of lakers, salties, workboats and Coast Guard vessels, many of which ended up in local magazines, on calendars or for sale through his business, Harbor Reflections Photography. Tim said he rarely missed a sunrise, and he often was out at daybreak in his car or his kayak or his boat, looking for his next best shot. 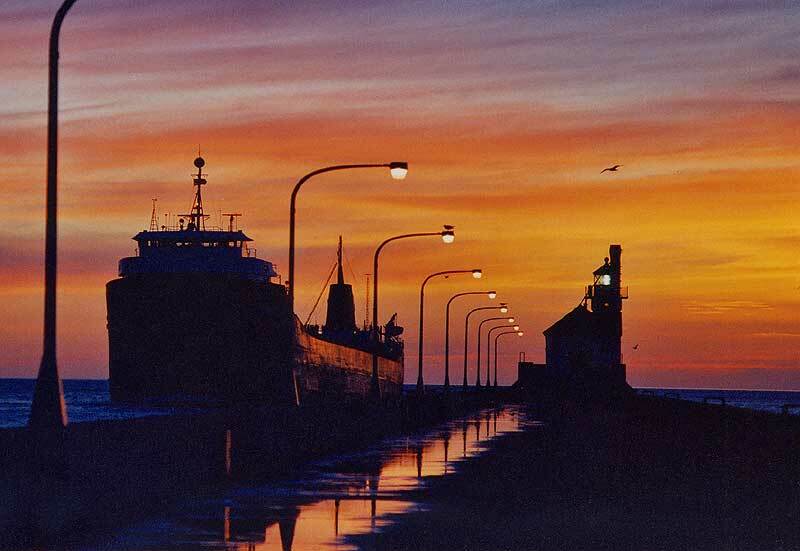 He was particularly skillful at capturing vessels in the spectacular light of sunrise and sunset. If you saw a photo in a local art gallery depicting a ship amid a jaw-dropping sunrise, odds were good it was Tim’s work. 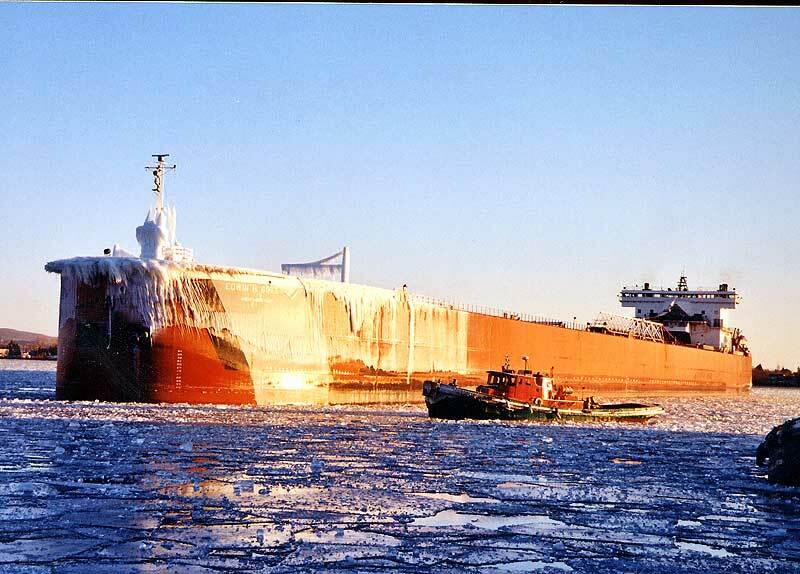 Tim was among the most prolific of Twin Ports boat photographers. 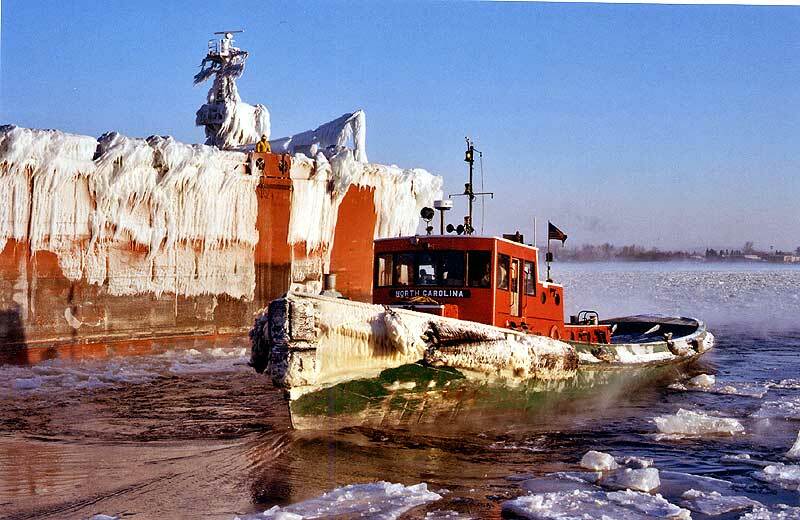 There was seldom an event – a cool boat in port, an unusual cargo, an accident, an ice jam – where he wasn’t on the scene. It wasn’t unusual for a photographer standing on a dock to be hailed by Tim as he passed in his boat or kayak, on his way to shoot another boat or angling around a tug or a laker to line up a great water-level shot. 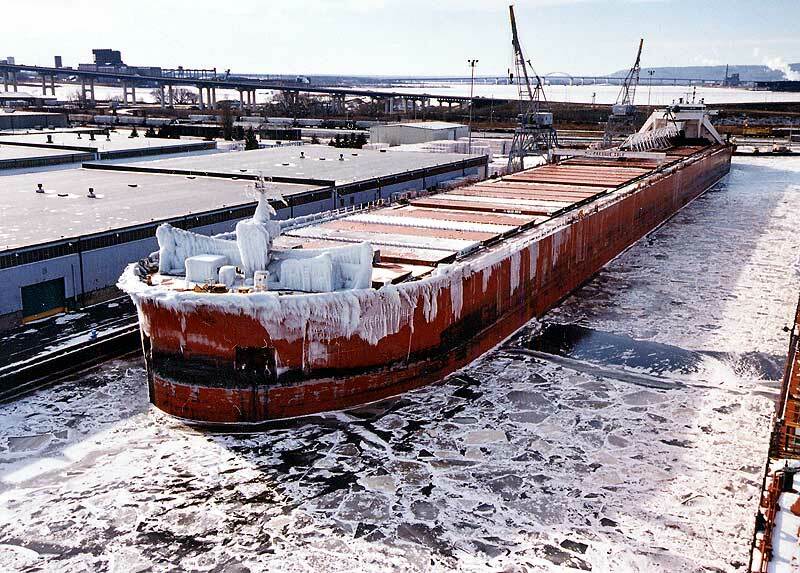 Tim shot a lot of photos for the Duluth Seaway Port Authority, and its magazine and annual calendars often featured his work. 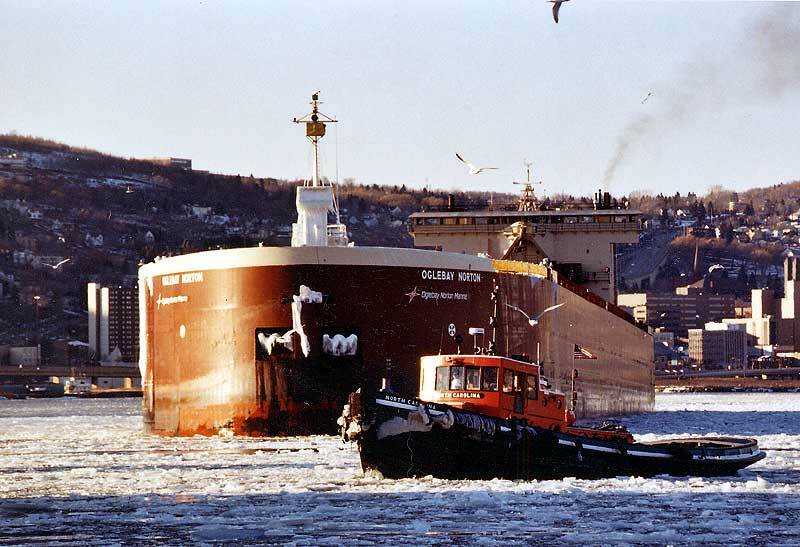 As the port authority’s photographer, he was almost always on hand when local dignitaries gathered to welcome the first saltie of the season or a ship making its maiden voyage to Duluth or Superior. The consummate professional, he would calmly move about the deck or inside a crowded bridge, making sure all the important people were positioned just right as he recorded the occasion on film. And, being a guy who possessed a keen sense of humor and a full measure of self-confidence, he would joke with other photographers and videographers and help himself to the sumptuous goodies so often laid out by the salties’ stewards. When a new saltie made its maiden voyage to Superior last season, Tim and another photographer were looking around the vessel’s bridge while waiting for all the necessary people to show up to begin the welcoming ceremony. With his usual aplomb, Tim ignored the compartment full of officials, happily grabbed the ship’s wheel and solemnly “steered” the docked vessel while directing the other photographer to shoot pictures of the horseplay. In a recent interview for “Great Laker” magazine, Tim told of how, as a boy growing up on Park Point, he would hang out at the Coast Guard station, helping the Coastguardsmen with odd jobs and watching movies or playing hockey with them. 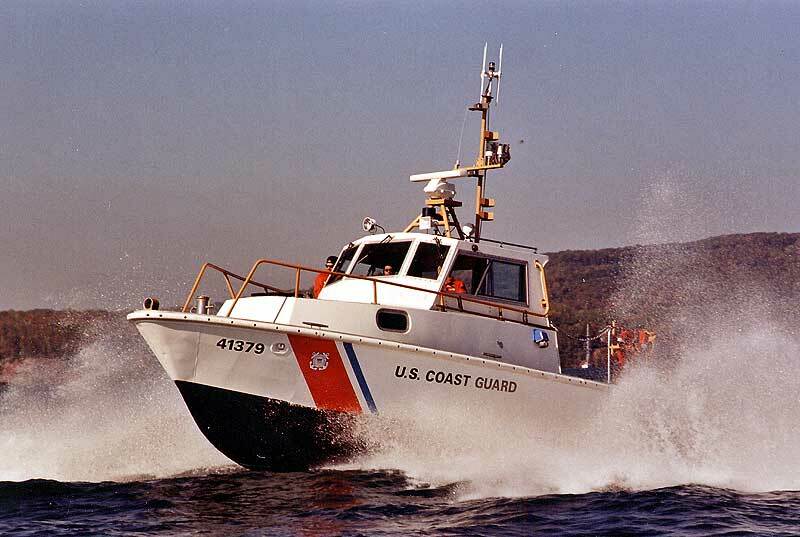 That led to a lifelong fascination with the Coast Guard and its ships. 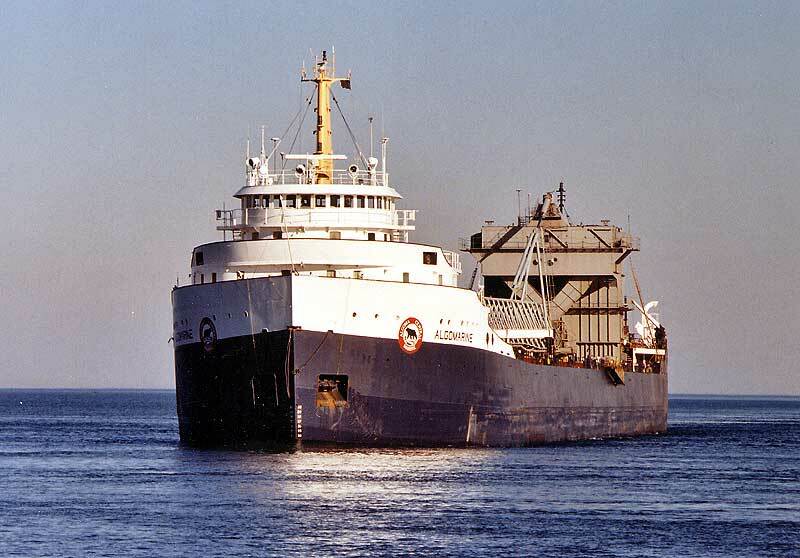 Over the years he developed a special affection for the 180-foot buoy tenders, especially those stationed in Duluth. He was well known and respected at the Coast Guard station, and often was invited to accompany the USCGC Sundew on icebreaking and training missions around the Twin Ports. Between his work and that of other photographers, he amassed a sizeable collection of photos of the 180s on the Great Lakes as well as those stationed around the world. While much can be said of Tim’s skill as a photographer, the reason his loss is so keenly felt in the Twin Ports is his personality. He was one of those rare people whom nobody disliked. He always seemed to have a smile on his face and a friendly word for everyone he met. Once you met Tim, you could consider him to be your friend, whether you saw him every week or a few times a year. He was a man of great talent, yet genuinely modest. He was the first person to compliment another photographer’s work,and always generous in helping other photographers, or in lending his photos to writers. 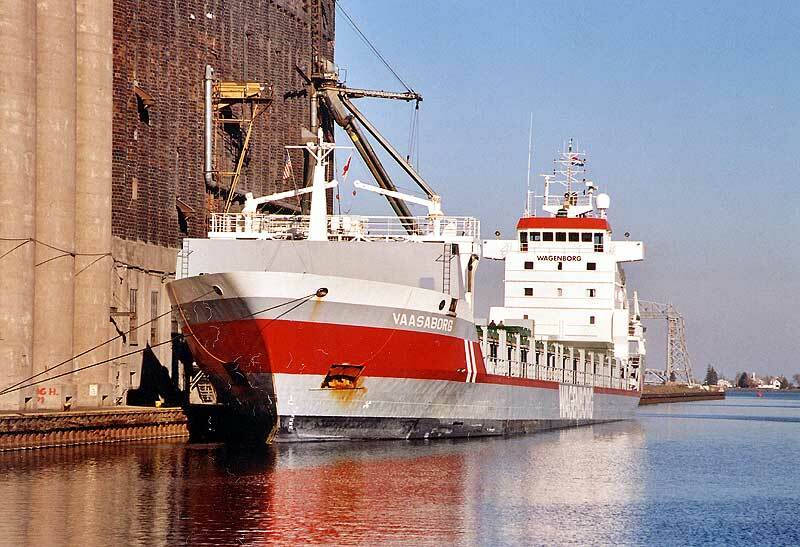 Of the many port officials, dock superintendents, Coast Guard officers and fleet bigshots in the Twin Ports, only a few are truly known to everyone. Tim was one those few. There was no gathering – from a huddle of photographers on some wind-swept dock to a fancy dinner at the only-members-can-use-the-front-door Kitchi Gammi Club -- where Tim couldn’t stroll in, immediately spot someone he knew and strike up a conversation. On Tim’s last photo shoot, the sun was bright and near the horizon, setting off the colors in a way that he excelled in capturing on film. No one knows what happened to Tim that afternoon, but everyone knows that, with his passing, every day around the port will be a bit dimmer from now on. 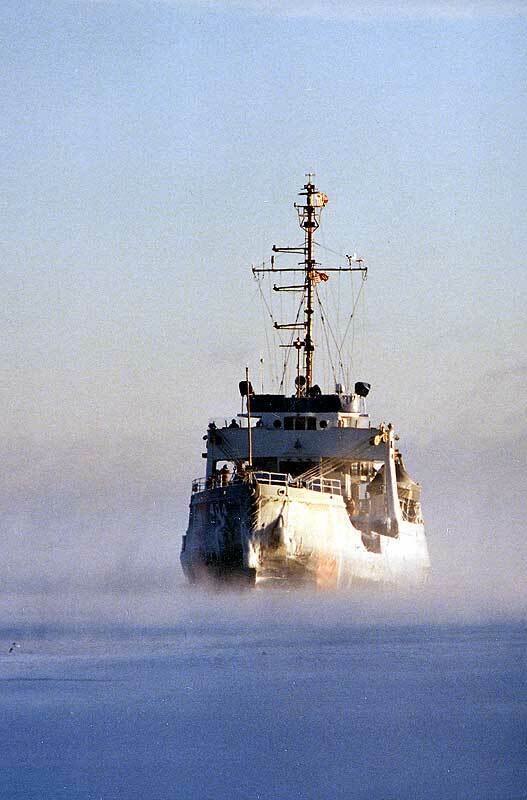 Coast Guard Cutter Sundew slips through the sea smoke. Tim's talent as a photographer was equaled by his generosity. 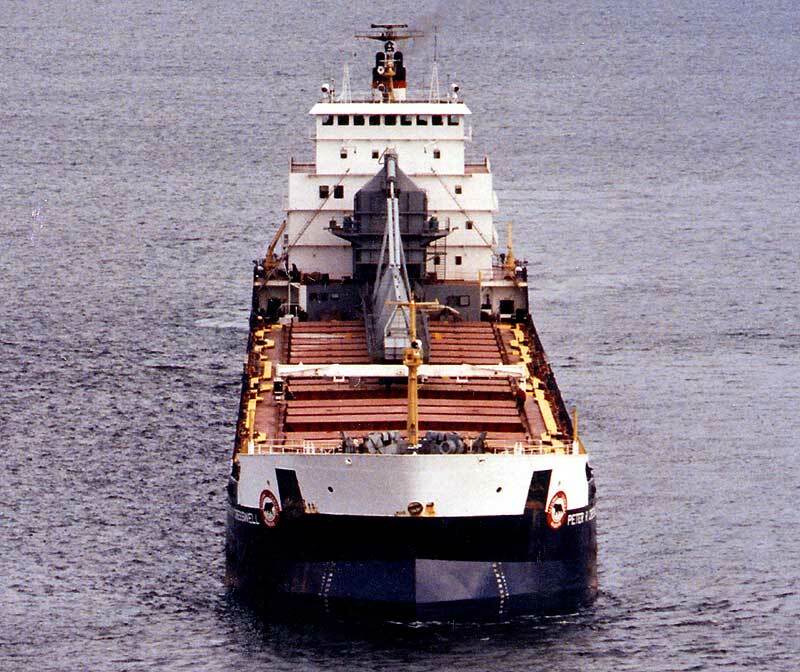 On the Peter R. Cresswell's first trip into Duluth the crew requested a picture of the ship arriving. 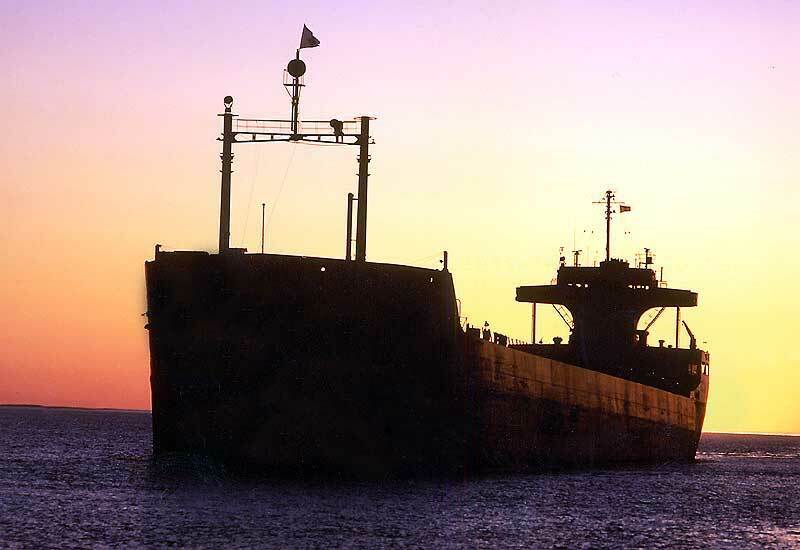 Tim happily took up their request and snapped this picture of the Cresswell arriving under Duluth's Arial Lift Bridge. North Carolina working with the Oglebay Norton.